Ordered this one off of CDBaby.com of all places. Never thought I’d see a KISS release on CDBaby! In truth, this is a Japanese import released through Japan’s King Records label and Yume no Ukiyo ni Saitemina is collaborative effort between KISS and Momoiro Clover Z, a popular J-pop girl group in Japan. Why? As Paul Stanley, “Why not?” It’s a great bit of PR and marketing though as this project was released right about the time KISS went on a brief tour of Japan. “Yume no Ukiyo ni Saitemina” is a pretty catchy song. The music is especially good. 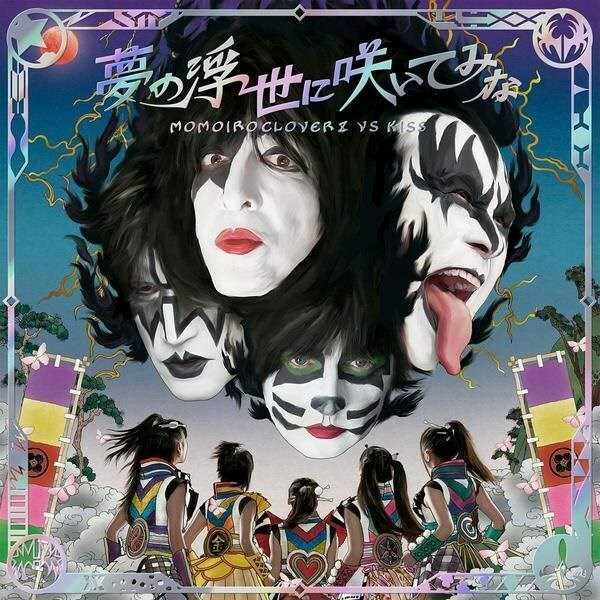 Momoiro Clover Z handles the lead vocals while KISS helps out in the chorus. Then there’s the cover of “Rock and Roll All Nite”, which again features Clover Z on the vocals with a few musical nods to other KISS songs such as “Love Gun” and “I Was Made for Lovin’ You”. “SAMURAI SON” is a reworking of “Yume no Ukiyo ni Saitemina”, featuring Paul Stanley & Gene Simmons on lead vocals, new lyrics and the Clover Z girls on backing vocals. The “off vocals” versions are what you’d guess they are: instrumentals. I know people will laugh at or hate this project because #1: it’s KISS and #2: it’s KISS teaming up with a Japanese pop girl group but the songs are actually kinda fun. It’s a quirky one-off thing and it’s not the band selling out or anything like that. They’ve been at this for 40+ years now, I don’t blame them for wanting to try something different. And this is definitely different. If you’re still longing for the days of Ace & Peter, then go back to your old vinyl record collection but I’m a fan of all eras of KISS and this is an odd yet entertaining release as far as I’m concerned. The album comes in two different editions. One for KISS and one for Momoiro Clover Z. Of course I picked the KISS version. It’s a pretty nice package with a clear slip cover, nice insert and cardstock featuring credits & lyrics and even the CD’s artwork is pretty cool. Wow. Despite the major success of Black Ice, which proved the world that AC/DC was still commercial force to be reckoned with and just as popular as ever, the band has had some tough times lately. Firstly, it was announced in September 2014 that founding member & rhythm guitarist Malcolm Young had permanently left the band and retired from music as he is battling dementia in addition to recovering from lung and heart operations he’s had in recent times. It was initially reported in the spring that he was taking a break from the band, but in the fall it was made official that he has retired. Despite this, the band decided to continue on. I really assumed that if one of the Young brothers ever had to leave the band for whatever reason, then the band would retire. I kind of admire Angus for wanting to continue on. Apparently, all of the songs for Rock or Bust were already written by Angus & Malcolm by the time it was first announced Malcolm was taking a break. I figured this would at least delay recording but their nephew Steve Young stepped in to play rhythm guitar on the album and he is now Malcolm’s official replacement. Steve is no stranger to the band; he filled in for Malcolm on tour in 1988 while Malcolm was dealing with alcohol issues. But it if that wasn’t enough, just before the release of this album, longtime drummer Phil Rudd’s house was raided in November 2014 and he was charged with “attempting to procure a murder, threatening to kill, possession of methamphetamine and possession of cannabis”. The attempt to procure a murder charged was dropped but as of this writing he is still facing the other charges. It is not known at this time whether he is still a member of the band but recent band photos have not included Phil Rudd. Angus seems willing to give Phil a chance to deal with the charges but has stated someone will be drumming for them when they go on tour in the spring of 2015. This is the first “new release” of a vinyl album I’ve ever bought. While I have a decent size CD collection, these days I mostly listen to music digitally. When I saw that this album wasn’t up on Spotify and that it was $10-13 for either the digital album or the CD, I figured I might as well pay another $10 for the vinyl/CD bundle. I ended up buying this at Barnes & Noble of all places. I think all vinyl releases should include a CD copy. So now I have a vinyl copy, a CD copy and a copy burned to my computer/iPod. The vinyl cover is 3D lenticular artwork and features the AC/DC logo breaking through. The packaging is well done. One sleeve for the CD and booklet featuring photos, one sleeve for the record. It all has an old school look to it. They even used the old Columbia Records logo. So how does the music fare? Well, it’s AC/DC. If you like AC/DC, you’ll like this album. We already know they have a formula and they’re going to stick with it. I’ve spun Rock or Bust a number of times already (it’s easy to do when the album is only 34 minutes long) and I definitely like it. 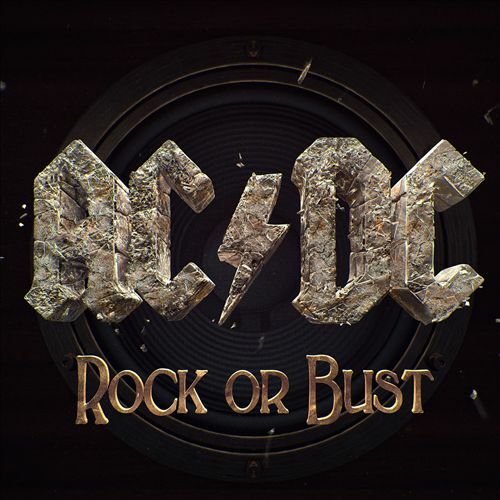 I don’t think it’s as good as Black Ice, but “Rock or Bust”, “Play Ball” and “Miss Adventure” are very good tunes with the first two definitely having that classic AC/DC feel to them. “Rock the Blues Away” is another good one that I can see going over well in concert. With further comparison to Black Ice, I think Brian Johnson’s voice actually sounds better on this album. While the album may not go down as an all-time classic in the band’s catalog, it’s certainly a “good” album that beats out stuff like Stiff Upper Lip and the band’s output from ’83-’88. If Rock or Bust is to be the last album the band ever records in the studio (I’m assuming there will be a live album to chronicle the Rock or Bust world tour), then it’s a strong note to go out on. And, hey, selling 500,000 copies and going gold in the U.S. within two months of being released is good note to go out on as well. Not bad for a rock band in their fifth decade, especially considering the state of the music industry. Finally! An album with only eight tracks! Dave Grohl gets it. He’s kind of an old school guy when it comes to rock, so I’m not sure it he did it on purpose but to release only 8-10 tracks on your album seems like a throwback idea to me (and always a good one). I’m always wary of any band that wants to put 15 or 17 songs on an album because you know just there’s going to be tons of filler. Plus, as I’m getting older, I’m finding I’m unfortunately devoting less and less time to listening to music so it’s nice to see a fairly short album. Okay, so there’s only one song clocking in at under four minutes (just barely, and the longest song is seven minutes long), but it’s still nice to not stare at a wall of track list. Sonic Highways almost seems more like a project in a way, rather than a band album. Does it sound like the Foo Fighters? Yes. But it’s different in that the album was recorded in conjunction with a HBO series and each song was recorded in a different city with various special guests. The guest list includes Cheap Trick’s Rick Nielson, Zac Brown, Joe Walsh and band-mates from Grohl’s ’80s band, Scream. 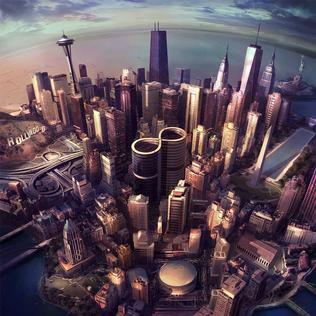 Not as star studded (IMO) as the Sound City: Real to Reel album, but in a way, Sonic Highways seems like an expansion of Grohl’s Sound City documentary/album project. As I said, the songs still sound like Foo Fighters, despite the fact “Something From Nothing” lifts from Dio’s “Holy Diver”! The rest is what you’d expect from the Foo Fighters from this point and it stands as a worthy addition to the band’s catalog but I think it falls short from being as good as 2011’s Wasting Light. I love this album’s cover art. How awesome would it be to have that on a vinyl sleeve? This self-titled effort is the Swedish band’s fourth release (third on the Frontiers label) and delivers more of the sleaze ‘n’ glam metal goods. I’ll admit, it took me a few spins before some of the songs really started to click with me but “Girls of the ’80s” was an obvious standout for me from the get-go. I’ve seen a number of people comment that “Psycho City” reminds them of KISS… Not getting that at all, although I do think the song is one of the best from the album. One song that does remind me of a band is “Ain’t No Rest in Rock N’ Roll”, which has the band sounding a bit like an AC/DC clone. Other highlights for me are “I Missed the Mark” and “All Looks, No Hooks”. 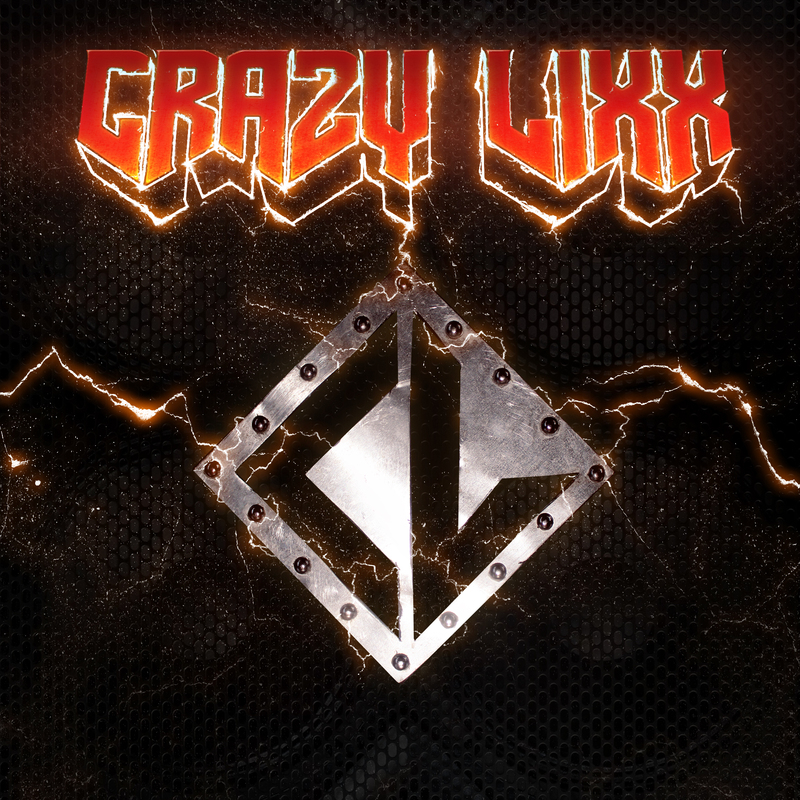 Great melodic hard rock that at times reminds me of Danger Danger, just not as polished. I heard all three of the band’s Frontiers Records releases. While I don’t think the band has delivered a knockout release just yet, all three have been good. Nothing here matches the intensity and catchiness of “Whiskey Tango Foxtrot” or “Church of Rock” (both from Riot Avenue) but this may be the band’s most consistent album yet. 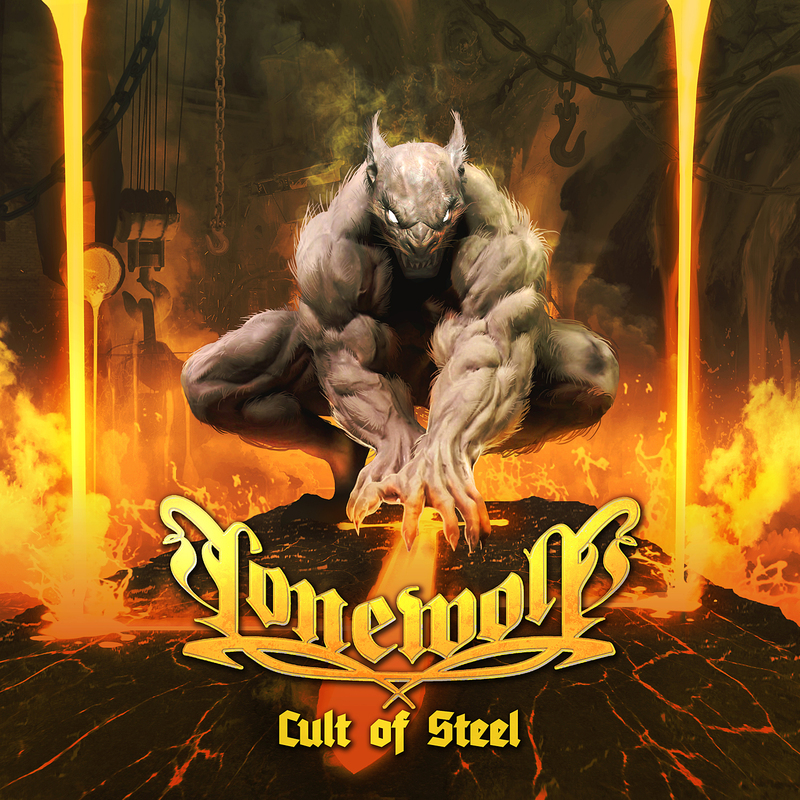 With a history dating back to 1992 and seven albums under their belt, Lonewolf are a French heavy metal outfit that plays in the traditional heavy/power metal style. What initially grabbed me about this album was the cover art. It’s an excellent piece of work. I don’t think I had ever listened to Lonewolf before this album. There’s a couple of other ‘wolf’ metal bands out there (Powerwolf, Wolf) and I haven’t followed any of them too closely so I wasn’t sure what to expect from Lonewolf. Judging by the band name and album title, I was hoping for a traditional heavy metal/power metal sound and that’s exactly what they deliver, though their sound leans more towards power metal rather than old school heavy metal. Cult of Steel is a melodic metal affair full of everything you’d expect from the power metal genre: galloping drum beats and speedy riffing and solo work. Jens Börner growly vocals give the band’s sound a bit of an edge. Don’t worry, he’s actually a good singer and a good fit. My complaint about this album is that many of the songs sound too similar. I had to check iTunes to make sure the song wasn’t set on repeat. Those galloping drums and speedy guitars don’t really change tempo at too much. That’s a shame because when the band decides to play things slightly different, the album gets interesting with songs like “Mysterium Fidei” (well, at least with the song’s intro) and “Funeral Pyre”. Lonewolf could benefit on the next go around by trying to get each song its own identity and not playing ‘Power Metal 101’-type songs but this is a solid slab of metal and I’ll be keeping my eyes peeled and ears open for what this band comes up with next. I came into this album expecting more of the same from Apocalyptic Love. That is, an album that is solid but uneventful and not memorable at all. In fact, with 17 tracks and 77 minutes of music, I’d actually been putting off listening to this album for quite some time. I didn’t want to devote the time to something I was afraid wasn’t going to make a lasting impression anyway. 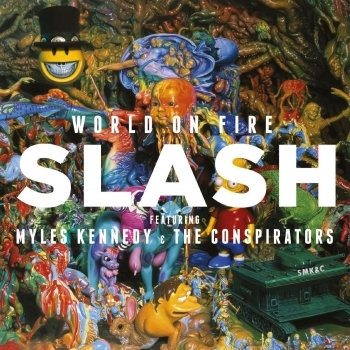 You may ask yourself, “Why even bother listening to it at all then?” Well, because it’s Slash. That’s why. Okay. So, my thoughts? Well, the album is indeed too long. All Music Guide’s Stephen Thomas Erlewine stated that the band “gives the impression that they continue recording because they simply don’t know when they’re done”. He’s not too far off the mark. I’m a big proponent of albums being 10-12 songs long. Once you’re beyond that, in most cases you’re really just putting down filler and that’s the case here. Luckily, the thing about an album that’s 17 songs long is there’s has to be a few good ones in there somewhere and there are. The first three tracks are pretty good until the album ventures into the land of Generica, then album comes alive again with “Too Far” and “Beneath the Savage Sun”. Unfortunately, not much rest on the album has made an impression on me. Personally, I’m still hoping that someday Velvet Revolver reunites or that Slash will go back to working with a different singer on each song just as he did on his self-titled solo debut from 2010 because I found all of that much more interesting and varied than what’s been going on when Myles Kennedy is featured (as great of a singer as he is). The first and last time I listened to a full album from this band was with their 2009 album Ravenous. It was a solid album, but when I listened to a few tracks from their Legions of Bastards follow-up in 2011, I guess I wasn’t in the mood for these Swedish metal-heads because I’m certain I never listened to the whole thing. With the release of Devil Seed, I decided to give these guys another chance and I’m glad I did. The first track I heard was “Killing Floor”. I think it might’ve been made available as a streaming preview and it perfectly captures the traditional heavy metal vibe. It’s a great way to close the album. As an opener, the instrumental “Shark in C Minor” sets the pace for what’s to come with yet another fantastic wallop of headbanging metal. “Overture in C Shark” smoothly flows into “Shark Attack”, which does not disappoint after the anticipation already built upon from the opening of the album. I’ve seen some reviews stating this album is mediocre, but I’m digging it a lot. Much more than I thought I would. In fact, I think I like it better than Ravenous (which I can’t even remember) and I seem to recall that one getting high praise. Wolf are firmly in the camp of the “new wave of traditional heavy metal” (Enforcer, Cauldron, White Wizzard, Skelator, Skull Fist, etc.) but I’m finding them to be among the cream of the crop as I think they have a better grip on melody and are superior at writing metal-tinged ballads and mid-tempo songs. 9. Who Has the Right? Well, it’s no surprise that Sammy’s latest release comes from Jimmy Buffett’s record label as it seems like Hagar has tried to emulate elements of Jimmy Buffett over the last decade (right down to covering his songs and touring with him). 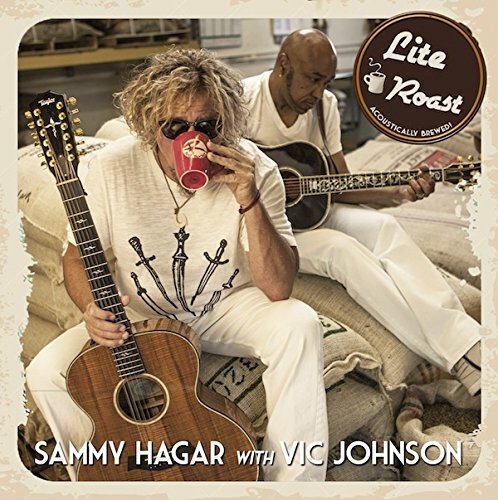 As the album cover and title would suggest, Lite Roast is a laid back and mellow acoustic affair. 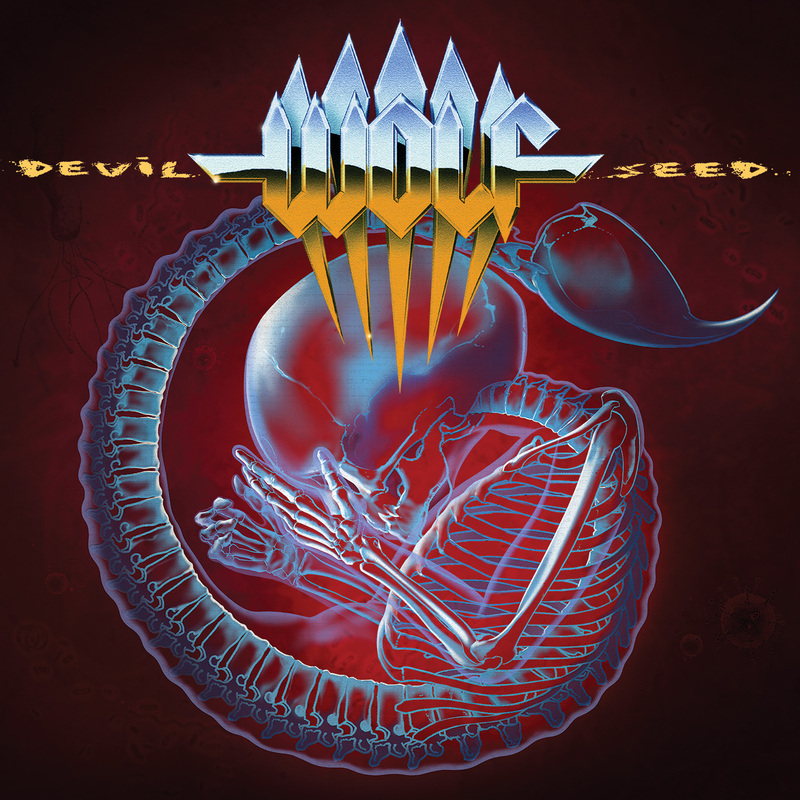 What’s notable is that Hagar’s longtime guitarist, Vic Johnson from the Waboritas, is featured on the cover and the album is officially credited to them both. Essentially, this is kind of a compilation of solo/Van Hagar tracks reworked acoustically. “The Love”, from Hagar’s 1999 album Red Voodoo is excellent in this setting. I think I might actually prefer this stripped down version over the original. It’s also nice to see the inclusion of that album’s title track as Red Voodoo holds a special nostalgic place in my heart. Yes, I’m nostalgic about a Sammy Hagar album that was released in 1999. There’s a couple of tracks that fall flat with me (okay, more than a couple). “One Sip” is from Hagar’s Buffett-inspired Livin’ It Up! album which was co-written with another Buffett emulator Kenny Chesney. That was an album I passed on and “One Sip” proves to me I was right. I doubt the original version is any better. “Sailin'” is also from that album is, frankly, a bland ballad. Van Halen’s “Finish What Ya Started” holds up well, as expected, when given the full acoustic treatment. “Dreams” also sounds good here. MelodicRock.com said this version of “Dreams” is “horrible” but I don’t get that at all. I think it holds up well. Despite the spotty picks of tracks, one thing I like about this album is the production. It sounds like there’s not a whole lot and I mean that in a good way. It really sounds like Sammy and Vic simply pulled up a couple of stools, started playing and recorded everything live. I’m not sure if that’s what actually happened, but every track sounds like it was done that way in an intimate setting. There’s no attempt to set the atmosphere with a piano or anything. Just a couple of guys with acoustic guitars singing. I guess it’s no surprise that I found myself most enjoying the songs that I already knew. Much of Hagar’s solo work beyond Red Voodoo has been very uninspired and, dare I say, lazy (although I LOVE “Serious Juju” from Ten 13). Lite Roast is a mixed bag of varying quality coffee grounds. There’s really only four tracks here that I think are enjoyable. The rest is kinda forgettable and boring. A Sammy Hagar acoustic album isn’t a bad idea, it’s just that the song selection is pretty poor. I’d like Hagar to revisit the acoustic setting at some point with the idea of doing a greatest hits package. When I first came across this album, I wasn’t sure what to expect. 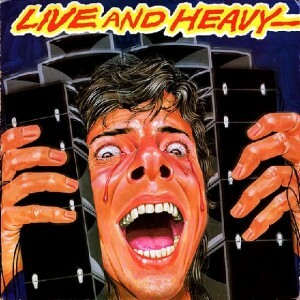 Either some type of cheesy heavy metal or perhaps something extreme? 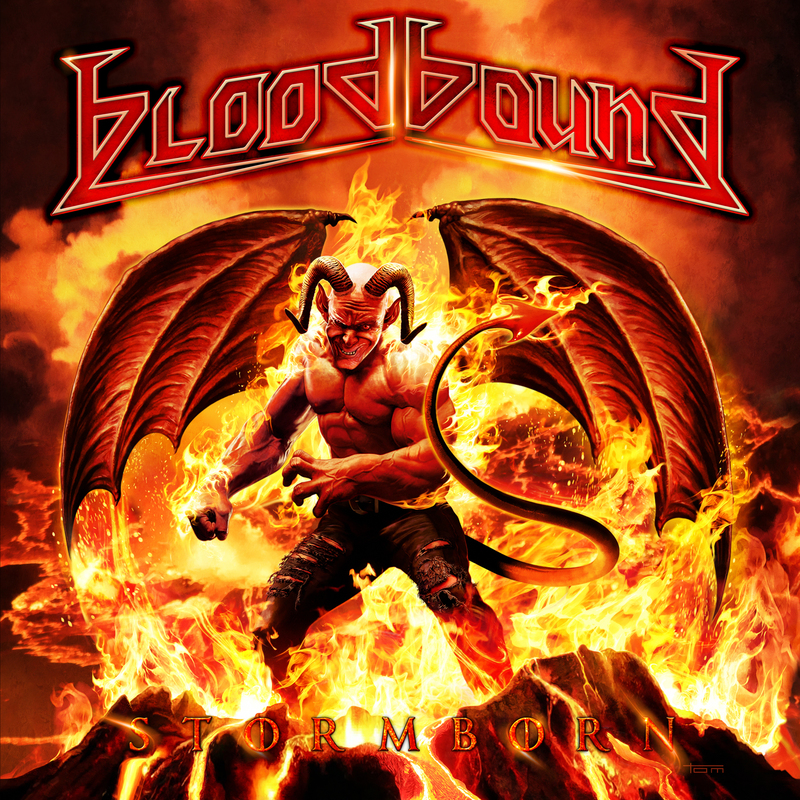 Well, while power metal is known for having quite a bit of cheese factor, I wouldn’t call Bloodbound cheesy: the keyboards don’t drown out the guitars and there’s plenty of riffing, big anthems and frenetic drumming here. While I’m not too familiar with the band, I can tell you that Bloodbound have been around for about 10 years and they hail from Sweden. Stormborn is their sixth album and if you’re looking for a point of comparison, their music reminds me a lot Edguy, Avantasia, Dream Evil, Hammerfall, Manowar and Halford. “Made of Steel” sounds like it could’ve come from Manowar or Halford’s Halford IV: Made of Metal album while “When the Kingdom Will Falls” sounds like it came right from one of Tobias Sammet’s bands (Edguy and Avantasia… your choice). Patrik Johansson’s vocals are similar to Sammet’s as well but a little Halford comes through on songs like “Made of Steel” and “Satanic Panic”. I’ve listened to this album a couple of times and I can’t help but think I’ve heard it all before but I don’t mean that in a bad way. Many of these songs reminds me of other power metal bands. Bloodbound are not plagiarizing or ripping off other bands but their influences do come through. Anyone that is into good old fashioned power metal should be able to find plenty to enjoy on Stormborn. As for myself, going by this album alone, the band has gained a new follower and I’ll have to see if I can check out their previous releases.